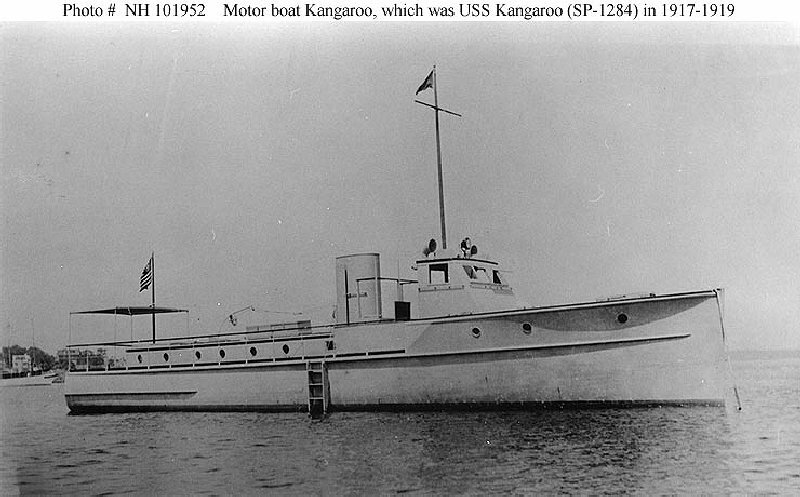 Kangaroo served both the U. S. Navy and Coast Guard. Propulsion: Two 60hp 4-cylinder gasoline engines, two shafts. 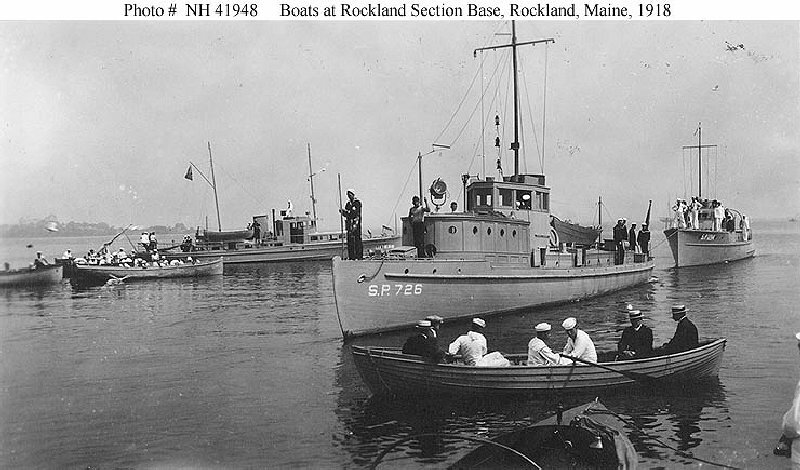 59k At anchor prior to her World War I Navy service. 121k Photographed when first completed in 1917. 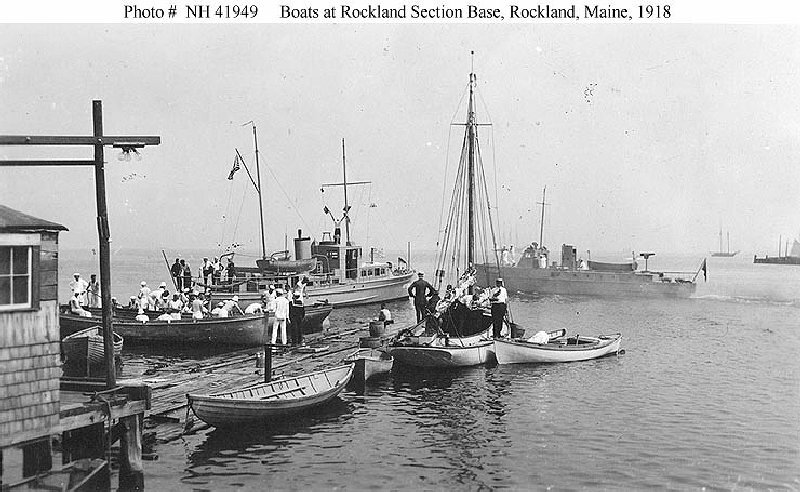 102k Sailors exercising with rowing and sailing craft, 1918. 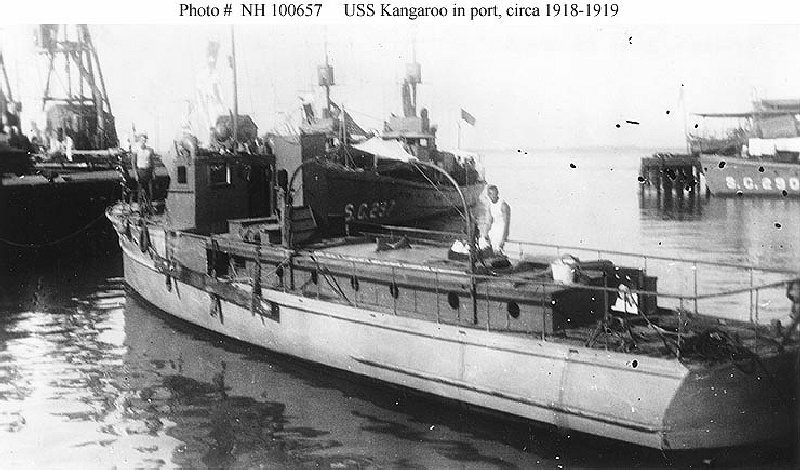 The larger craft present are USS Content (SP-538), in the left center background; and Kangaroo, in the right center background. Photographed by Alton H. Blackinton, Boston, Massachusetts. (SP-538), in the left center background; and Kangaroo, astern of Orca. 96k In port, possibly at Key West, Florida, circa 1918-1919. USS SC-297 and USS SC-290 are in the background. Any of a family of herbiverous, leaping, marsupial mammals of Australia, New Guinea, and adjacent islands. 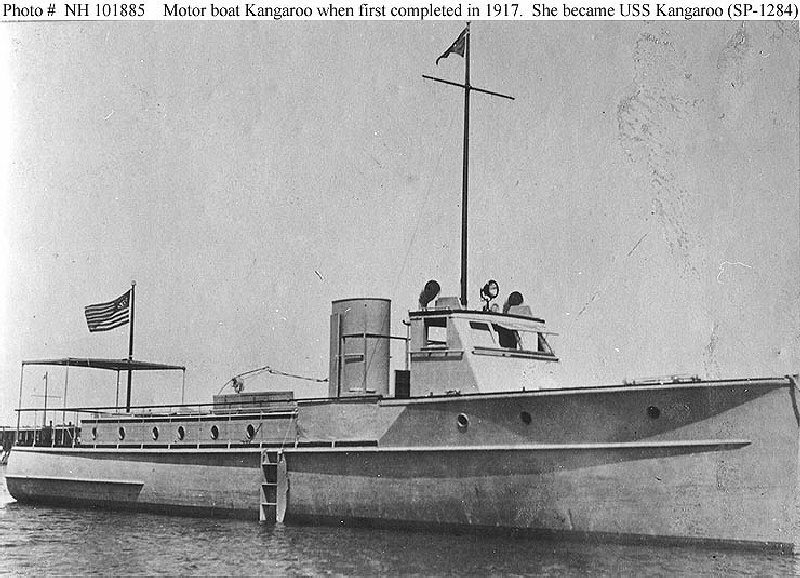 Kangaroo, a motor boat, was built in 1917 by Herreshoff Mfg. Co., Bristol, R.I.; purchased 18 September at Boston from her owner, Henry A. Morse, of Marblehead, Mass. 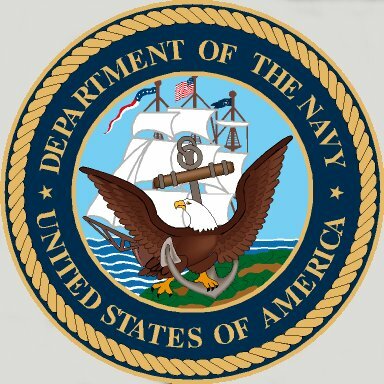 ; and commissioned 10 December, Chief Quartermaster C. H. Waterman, USNRF, in command. 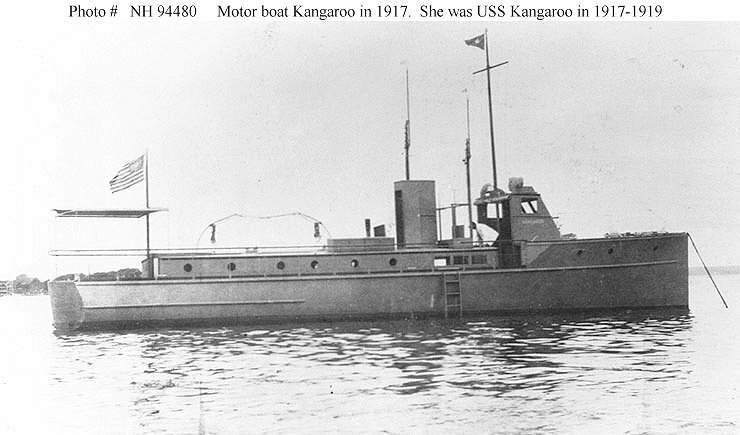 Assigned to the 1st Naval District, Kangaroo served on section and inner harbor patrol in Penobscot Bay, Maine, until 14 October 1918, when she sailed for Key West, Fla. Arriving 12 January 1919, she performed patrol and dispatch duties along the Florida Keys and Atlantic coastal waters. She decommissioned 20 May and was taken over by the U.S. Coast Guard 22 November for customs and coastal surveillance patrols. Serving at Key West, Charleston, and Norfolk, she was renamed AB-6 on 6 November 1923. She was sold to John H. Curtis of Norfolk 1 October 1932.